There is a baseline that we all feel we don’t need to communicate: The obvious. The perception is that we need to communicate just what isn’t in the ‘obvious box’, because the rest is, well, obvious. I was at a friend’s house once where they were pouring drinks for dinner. I was offered the milk and poured my drink first; A full glass. My friends’ brother looked at me like something was REALLY wrong. In their house, they only ever poured half a glass of milk, that way, if they spilled, they only lost half of a glass. To them, this was obvious (and it’s pretty decent logic) but for me, not obvious. The challenge comes when we convince ourselves about what is within the obvious box, and the danger with the ‘obvious box’ is that over time, it keeps growing. 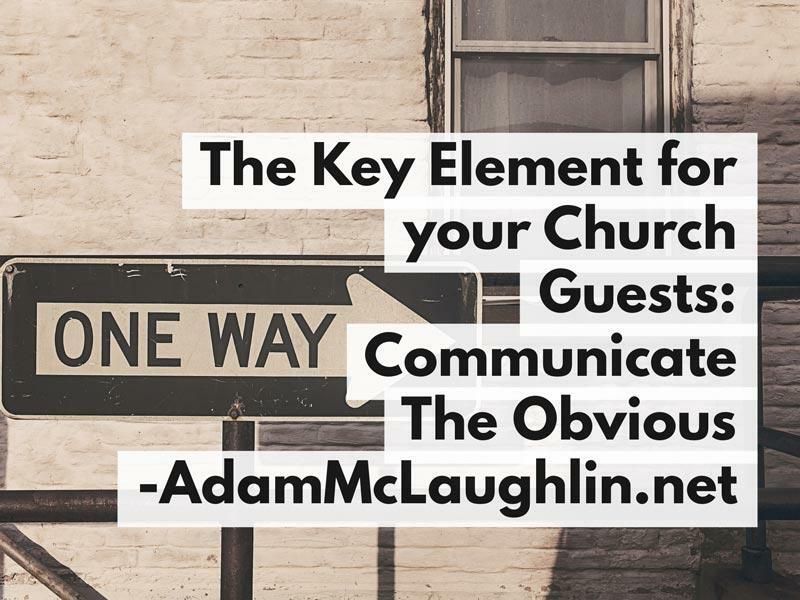 As we get used to the systems and processes at our church, they become more ‘obvious’ to us, but that doesn’t make them more obvious to our guests. 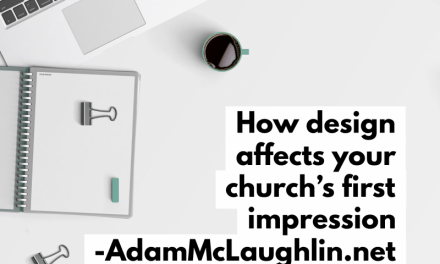 Consider these ideas about church. 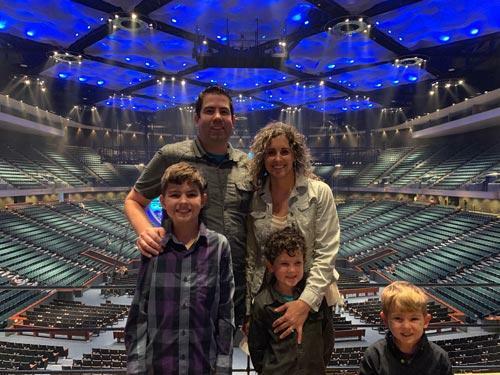 As someone who grew up in church, they seem obvious to me, but take a moment and view them from the eyes of someone who has never been to church in their life, and walks through your front doors this weekend. We offer childcare during service. Children have a check-in process. We stand up when the music starts playing. We sing out loud as a group in public. We talk (or shout) back when a presentation is being made. There is a time during the week that our teenagers get together. 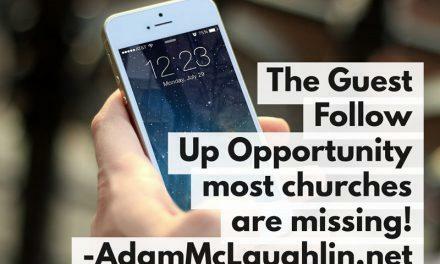 We do this every Sunday, with the intention that everyone returns every Sunday. I didn’t realize that I needed to fill out a card when it was my first time last week. Now it’s my second time, so I missed my chance to get that gift? When they’re talking about money and passing around a bucket. Which way do I go when I walk in? I want to learn more about Jesus, so I have to go buy a bible? 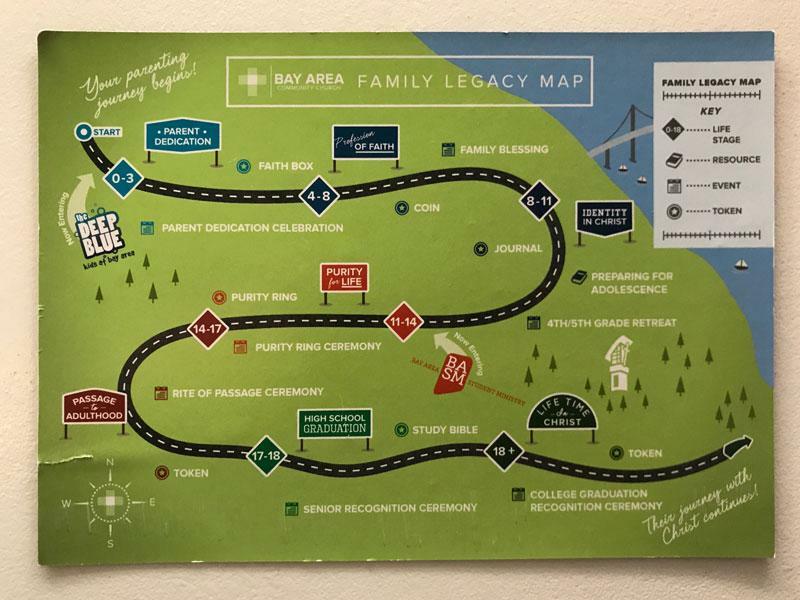 This magnet gives us a clear understanding of our family’s faith journey could look like from now until the time our kids graduate college – It may seem obvious that at a certain age, we have a “Parent Dedication” or “Baby Dedication”, or that our kids will participate in a 4th and 5th grade retreat at that age, but this ‘map’ makes it that obvious that there is a clear plan and path for my kids to move from their current stages with intentional transitions to the next stages. What may seem obvious to you, is an important starting point for communicating to your first-time guests. Don’t take anything for granted or make any assumptions about what they know and how they’re expected to respond. NextChurch Bulletins: Why or Why Not?